Come meet sweet Cosette! This gorgeous girl is ready to find her forever home. 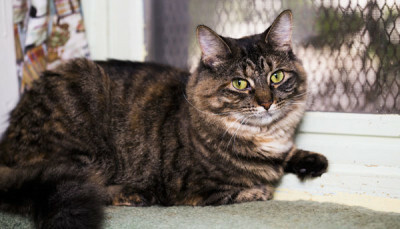 She can be timid and shy with first introductions and will need a little time to get to know you. She is very sweet and talkative but likes to take things slowly. She hasn’t had much experience around young children so any introductions should be taken slowly and with care. 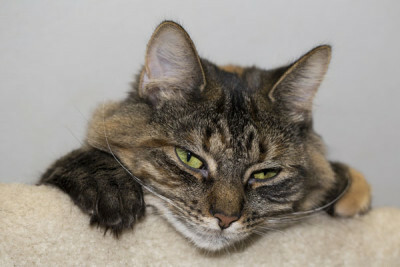 Cosette will probably do best in a quiet home with older, cat-savvy children. If this sweet feline sounds like the right companion for you, come take some time to get to know her! 2016-09-06: Lucky little Cosette was adopted today! This beautiful girl caught the eye of a new family, and will now live a life of luxury and leisure in a happy home.